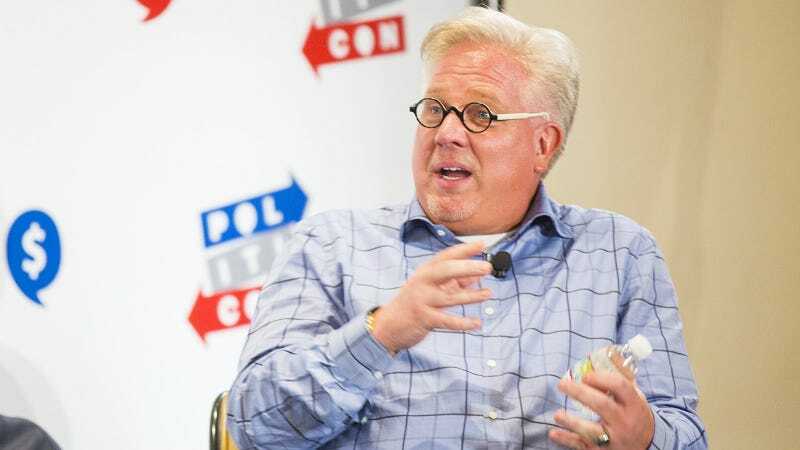 We haven’t had occasion lately to write much about Glenn Beck, the formerly spittle-flecked, excitable Mr. Potato Head host of a show where he once seriously— seriously— compared the trials of Paula Deen to those of Martin Luther King Jr. But today Beck is backish, trying out a newer, calmer persona for the New Yorker. Only slightly calmer, that is: after publication, his PR team demanded that the magazine correct a claim that he supports Black Lives Matter, because caring about black lives is a bridge too far. They’ve also corrected Mediaite, although the New Yorker itself has yet to run a correction or a clarification. This is the weirdest year in history, making all of us the strangest bedfellows, that much we know. More importantly, though, what happened to that Ayn Rand theme park Beck was threatening to build?